Come celebrate the return of foie gras to California’s tables at SLS Hotel at Beverly Hills on April 14, 2015. You will enjoy foie gras in many shapes and forms in the peaceful and intimate décor at SAAM, chef José Andrés’ tasting room hidden away from the busy and bustling Bazaar restaurant. Truffles are in season in autumn and winter. When the calendar changes to a new year, the black ones populate the market — and they are doing the same at SAAM, chef José Andrés’ private tasting room in The Bazaar at SLS Hotel at Beverly Hills. Truffle lovers are happy: The season has started! 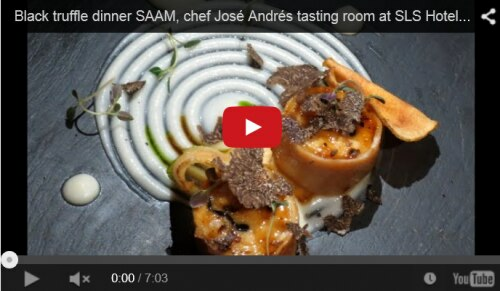 It means special dinners around what Jean Anthelme Brillat-Savarin called “the diamonds of the kitchen.” Über-chef José Andrés even started a Truffle Season Dinner Series at SAAM, the chef’s private tasting room in The Bazaar at SLS Hotel at Beverly Hills. It is now in its third year. 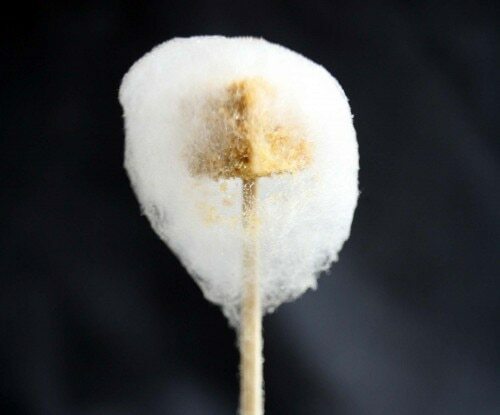 It seems that chef José Andrés and his culinary team love truffles — and I am glad that they do. 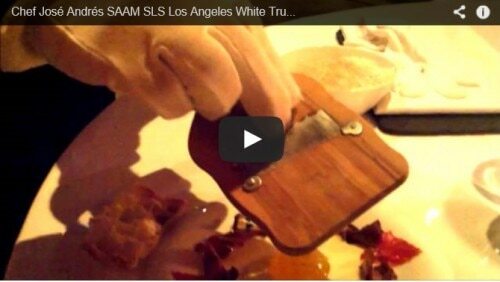 Last October, SAAM restaurant, the chef’s tasting room at The Bazaar at SLS Hotel at Beverly Hills, started the second annual Truffle Season Dinner Series with a meal featuring white truffles. But since black is beautiful, last week the restaurant started offering the black truffle experience. Throughout the 18-course prix-fixe menu, priced at $250 with wine pairings available, diners can discover the culinary creativity and talents of José Andrés, R & D chef Aitor Zabala, chef de cuisine Holly Jivin, and pastry chef Kriss Harvey. This is not the first time that the endless creativity of chef José Andrés compelled me to my computer to write a piece after sitting at the table of one of his restaurants. This time, it is about the second annual Truffle Season Dinner Series at SAAM, the chef’s private tasting room in The Bazaar at SLS Hotel at Beverly Hills. This series presents a great challenge as the key ingredient is what Jean Anthelme Brillat-Savarin called “the diamonds of the kitchen“. Using truffles reduces dramatically Andrés’ range of action and forces him to express himself in one direction.